Meet Tiffany and Anthony!!! 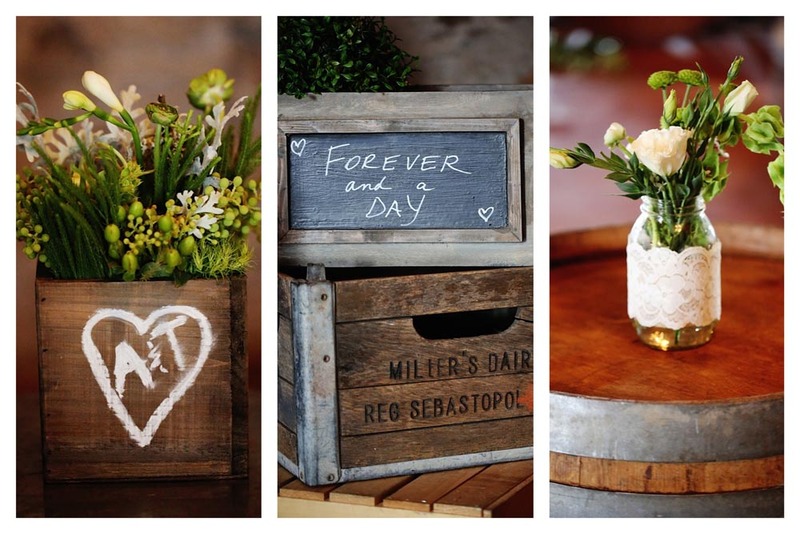 So happy to share some of their highlights from their rustic chic wedding! 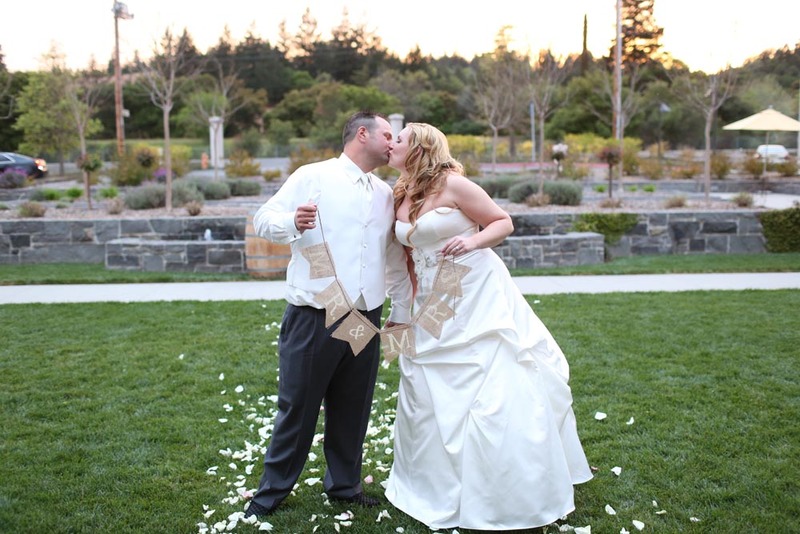 They chose the gorgeous Trione Winery for their special day because they loved the rustic feel of the buildings. 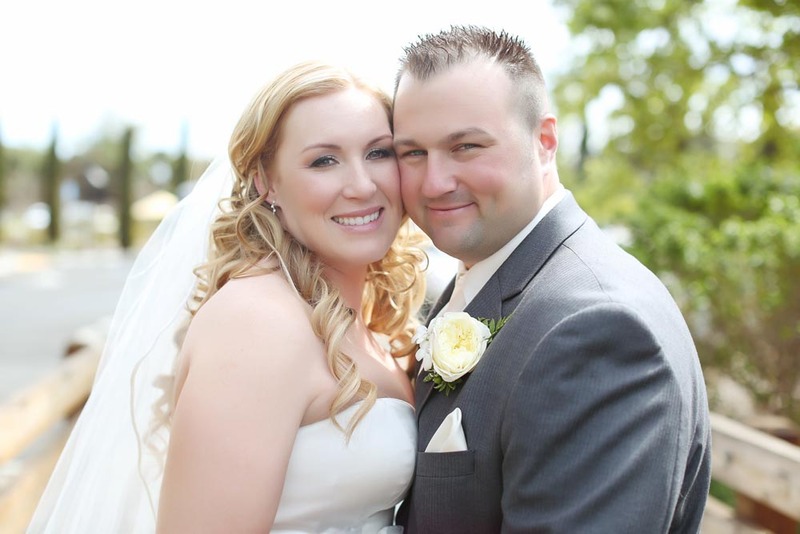 They also loved having the ceremony outdoors on the lawn. 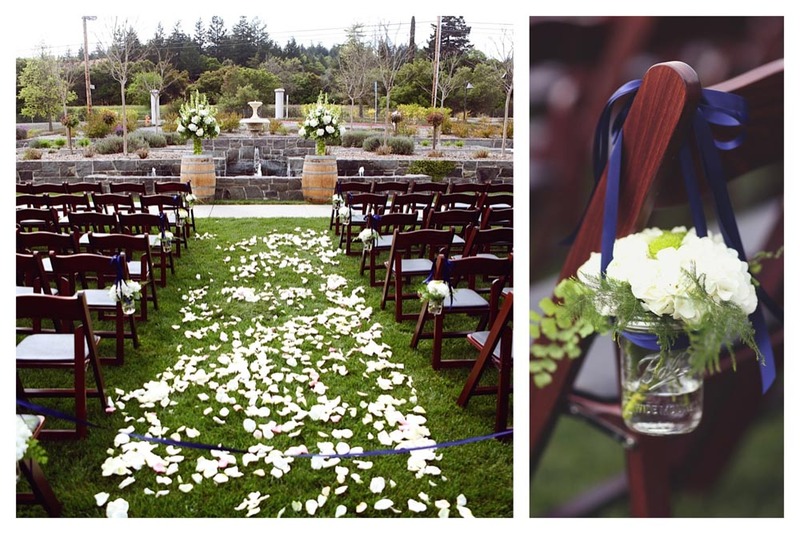 A petal-showered aisle and mason jar chair-bouquets set the stage for the ceremony. How fun is this? Tiffany and her ladies all wore cowgirl boots!! 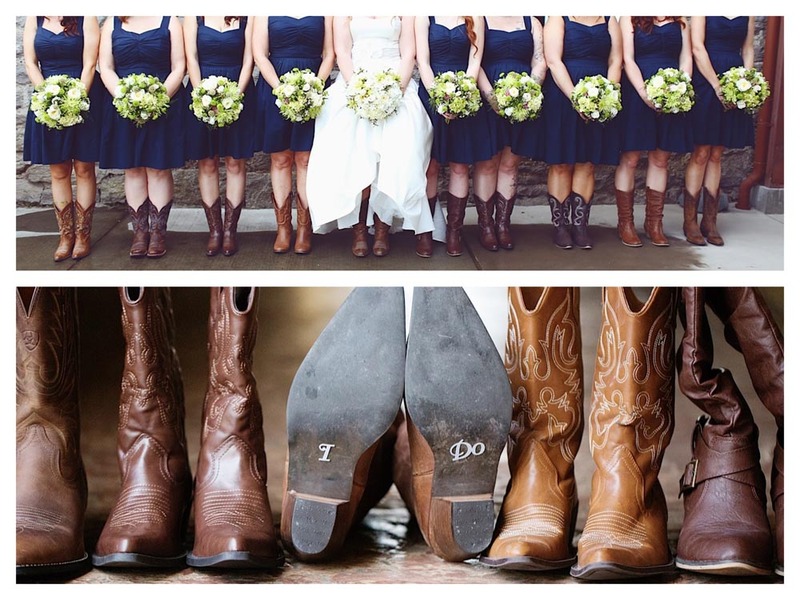 And I love the “I do” detail on Tiffany’s boots! Sooo precious! Gorgeous Ladies!!! 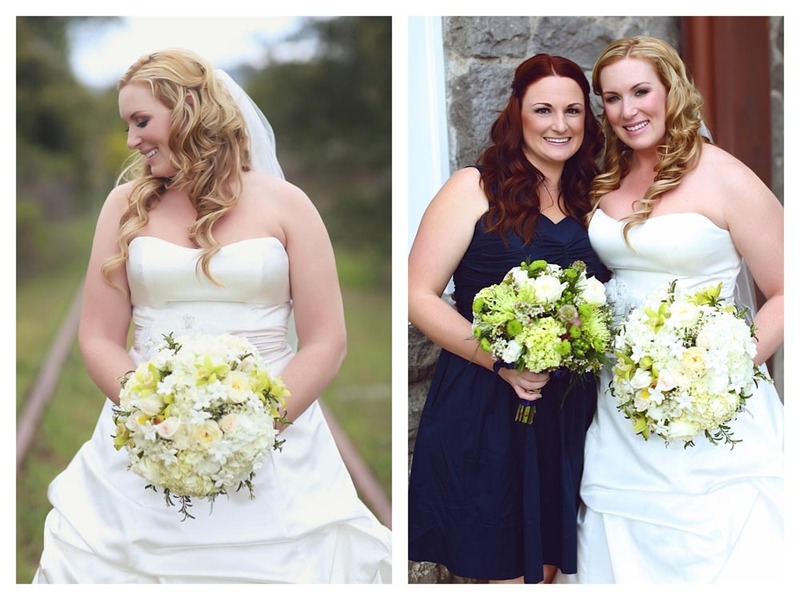 Encore’s very own Heather Nelson is the bride’s best friend and one of her maids of honor. Heather loved helping Tiffany select the perfect items from Encore’s inventory to complete her rustic chic theme! 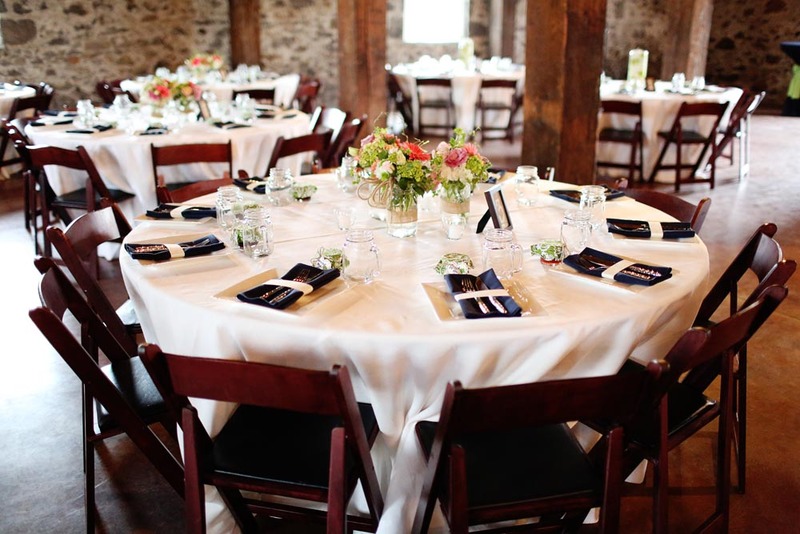 Mahogany wood folding chairs, ivory linens and navy napkins were ready for guests at the reception. 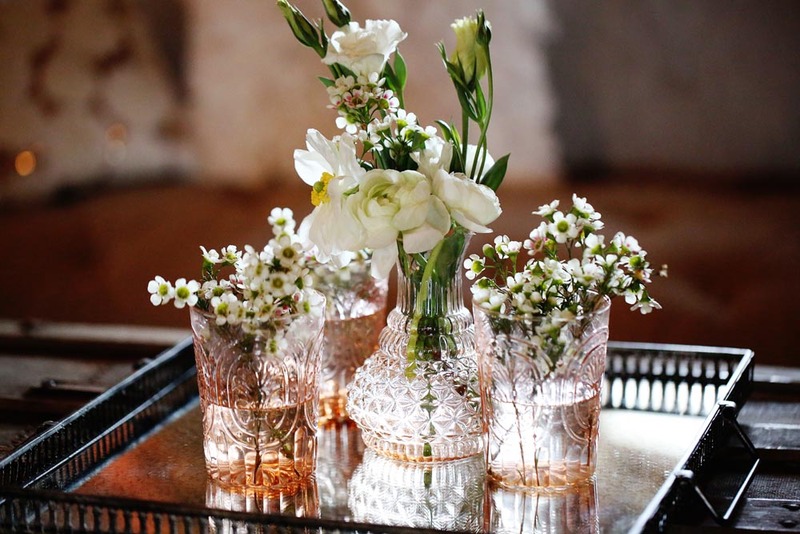 Table accents…. so perfect! Who else is loving the fruit-flower-floating-candle-combo in the cylinder vase? Tiffany’s family friend did such an amazing job on all of the flowers! 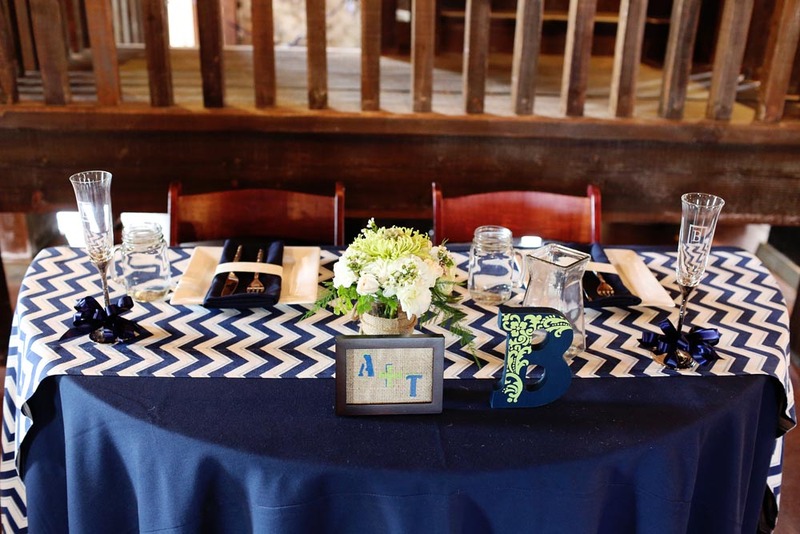 Sweetheart table chevron love!! Notice the shape? I love it when couples use a half round table. 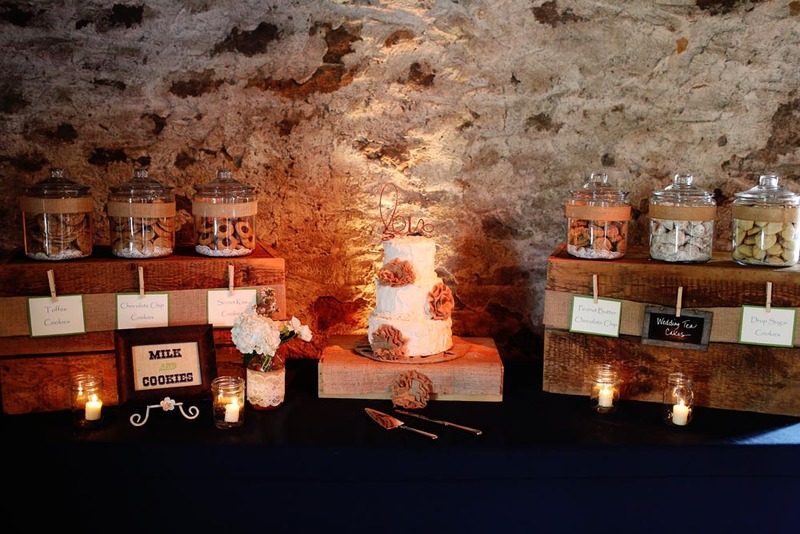 Check out their milk n cookies dessert table! 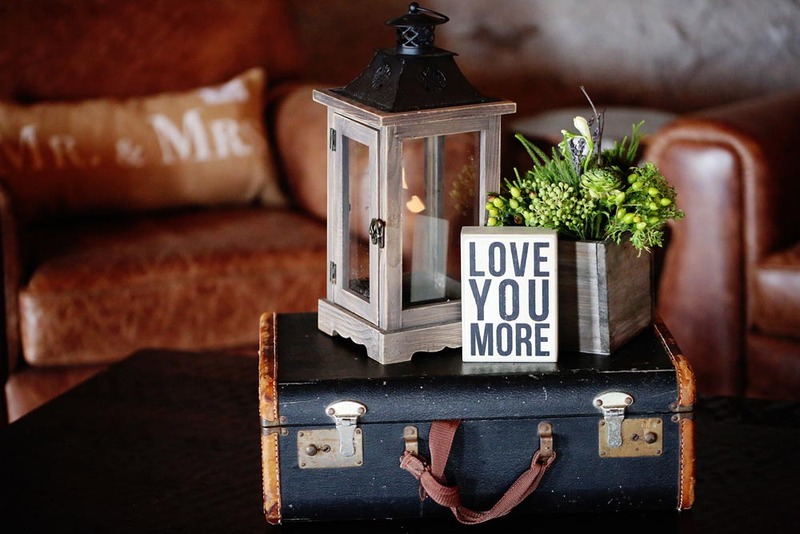 Awesome idea with the glass jars! Also loving the unique “love” topper and burlap roses on the cake!! 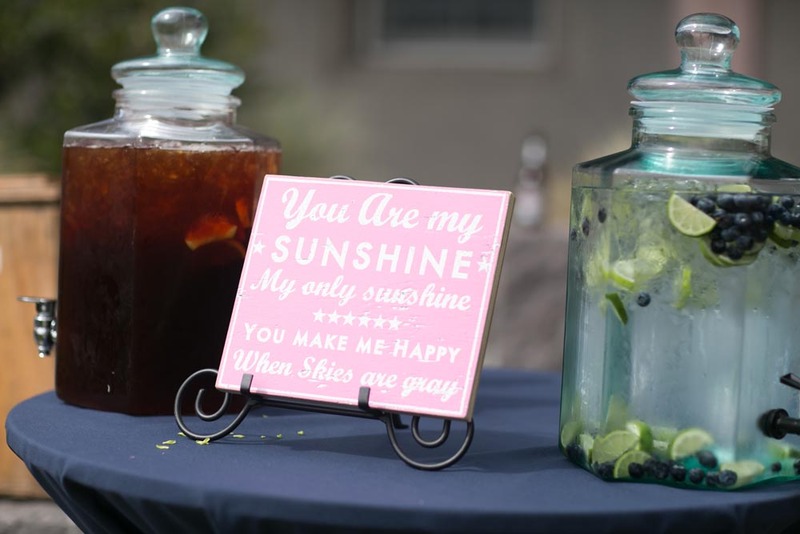 Our clear glass beverage containers are always perfect for displaying colorful and refreshing beverages… however, the addition of a romantic sign adds the perfect personal touch! Speaking of romance… dancing under our festival lights? What a perfect way to end the night! 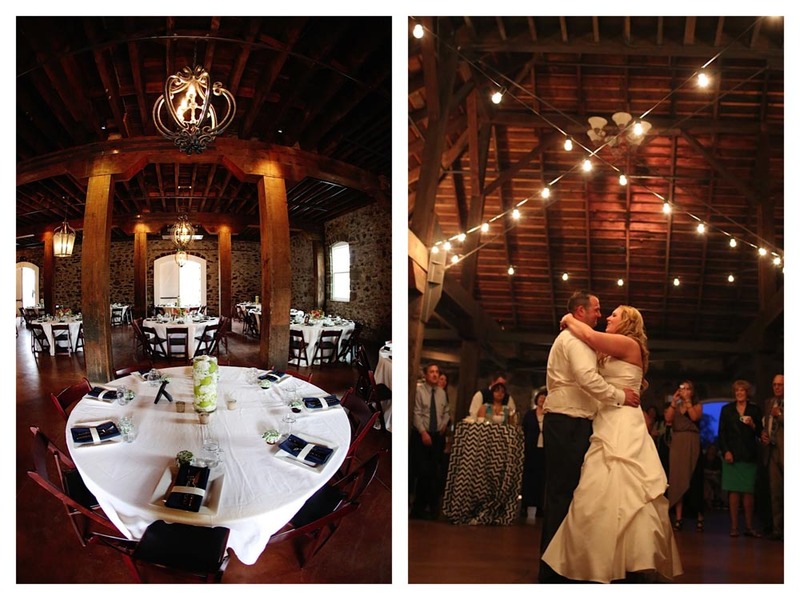 Also, Trione Winery’s wood chandeliers were Tiffany and Anthony’s favorite! 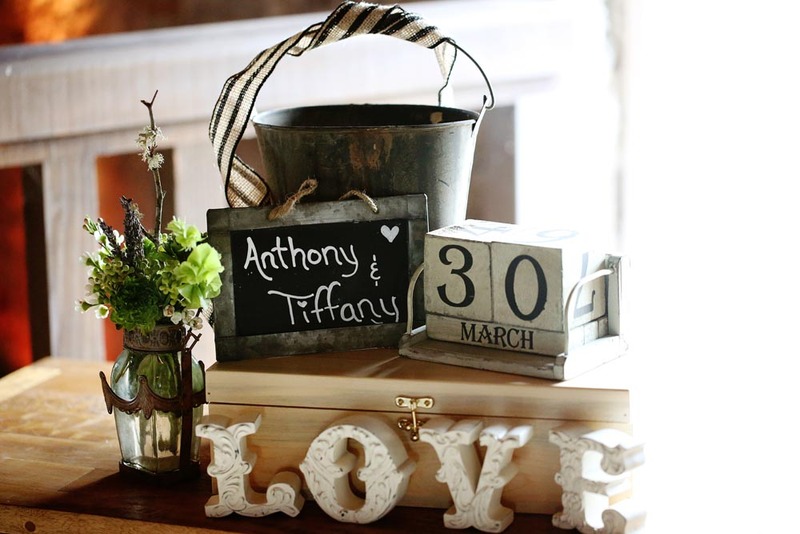 Tiffany & Anthony: we wish you all the love and happiness in your marriage! 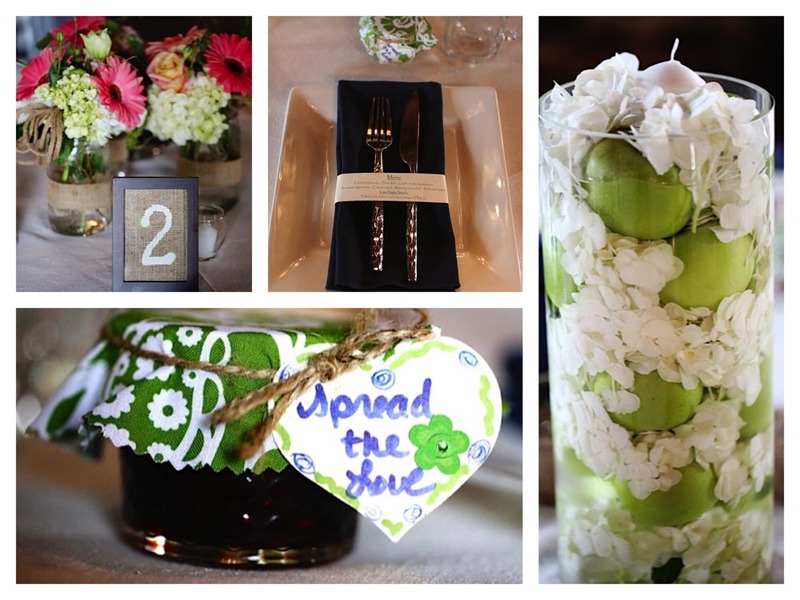 Thanks for letting us be a part of your special day! A very big THANK YOU for all of these stunning photos goes to Melody White Studios.